We spent one night, and were very impressed by the facilities and the staff. Excellent value, and a great place to stay if you are planning a trip on the railway. Very large and comfortable room with great facilities. Modern. The size of the appartment, the interior, the huge terrace with view, the location. The beds were comfortable. The room was well equipped. The breakfast was fantastic. The stuff was very helpful. Excellent adress. It's a fantastic double room. Very spacious room. Well equipped. Nice staff. 10 min. stroll from rail station and 2 min. from beach. Τhe breakfast. The location - near the beach, near the railway station. Room is very spacious and comfortable. More an apartment with a large lounge/kitchen area, plus a large bedroom and bathroom. I had ordered breakfast and it was a typical continental selection. All facilities worked well. Approx ten min walk from the rail station/bus stop. Just a couple of minutes from the beachfront, which would probably be nice in the summer months. Likewise, a small pool would be nice for a dip (but a bit chilly in early April, when not open anyway). Fotis and other staff are friendly and helpful. Hint - if planning to travel on the delightful little rack railway up the Vouraikos Gorge to Kalavryta in the mountains, then book well ahead of time as the (especially 11am) train gets booked-up very soon after tickets are released. 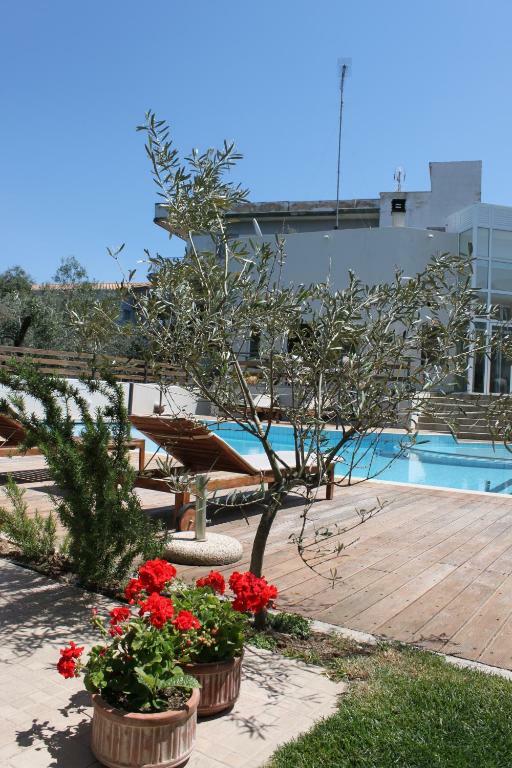 Lock in a great price for Alkistis Hotel – rated 9.1 by recent guests! 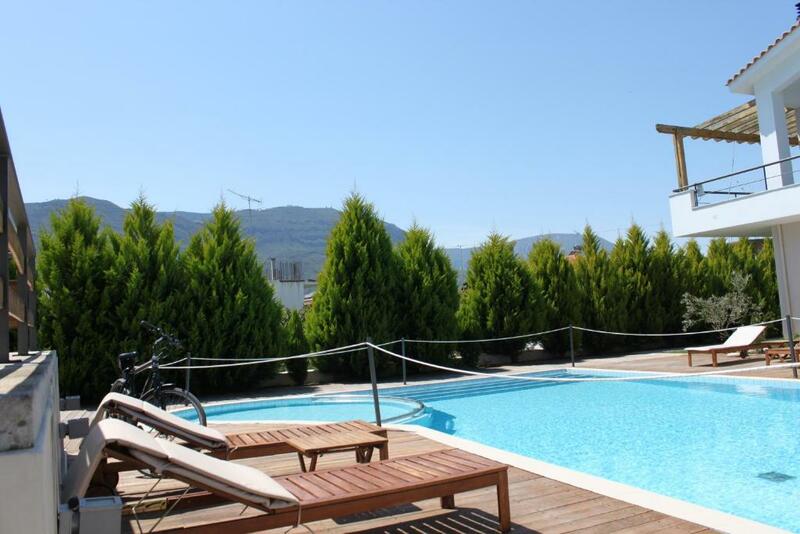 Located at 500 feet from the Gulf of Corinth waterfront, Hotel Alkistis offers modern, self-catering accommodations with balconies and free Wi-Fi. It also features an outdoor swimming pool. 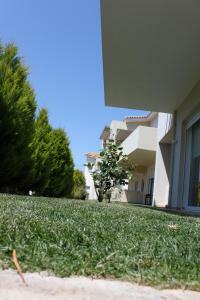 All units have air conditioning, cable TV and a kitchen with refrigerator and oven. The living room is furnished with ample seating space and a dining table, while some 4-person apartments also offer a fireplace. 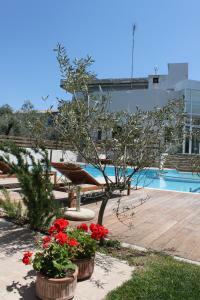 Guests can cool down in Alkistis’s outdoor pool and choose from a wide offer of drinks from the hotel’s bar. At the reception desk, guests can obtain area information or fax and photocopying services. Alkistis Hotel is located in Diakopto, 650 feet away from the train station. Kalavryta is at 20 mi. It offers free on-site private parking. Some feature direct access to the garden. Kindly note that this unit is accessible for disabled guests. Some feature a fireplace and direct access to the grounds. Το ξενοδοχείο μας βρίσκεται στο κεντρικό δρόμο του χωριού που οδηγεί στη θάλασσα. Γύρω γύρω δεν υπάρχουν πολλά σπίτια και άρα είναι ήρεμα. Στα 500 μέτρα υπάρχουν δύο ταβέρνες στα αριστερά ενώ στα δεξιά βρίσκεται το λιμάνι και ένα bar-restaurant. O σταθμός του οδοντωτού που οδηγεί στα Καλάβρυτα βρίσκεται στα 700 μέτρα όπου και είναι και η αγορά του χωριού με σουβλατζίδικα και ταβέρνες. Η απόσταση από τα Καλάβρυτα με αυτοκίνητο είναι 32 χλμ ενώ από το Αίγιο είναι 13 χλμ και την Πάτρα 52 χλμ. Spacious apartment unit equipped with kitchen and living area. Friendly staff/ owner who checked us in. Conveniently located within walking distance to the train station. It was clean and comfortable! The location is superb! Only 500m from the Diakopto train station. Room is big and the staff is friendly, it’s value for money! 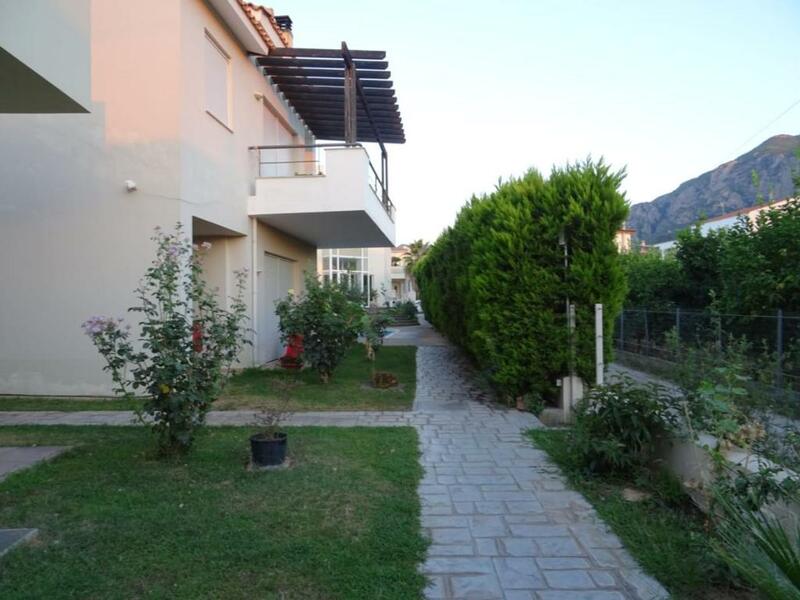 Great location-close to train to Kalavrita. Very big and spacious apartment with balcony. Nice and friendly staff. It was great value for money. We got an apartment with a view to the mountains for only 37.5 € It was clean and evrything was perfect. They even asked if I needed a small room while waiting for the bus because I was sick. I preferred to lye in the shade of the sun umbrella. I stayed two nights at the Alkistis hotel in October. I could not have asked for better. My room (202) was on the ground floor and was actually an apartment with a large bedroom with a comfortable double bed, desk, ample powerpoints, and drawer and cupboard space. Then there was a small lounge with outside seating if you wanted. And a large kitchen with a cooker, fridge, freezer, crockery, cutlery and kettle. (No hair drier though!) My only grumble was the hard pillow! I wasn't actually self catering so the owner gave me some tea bags and milk for my cup of tea. The hotel is deceptive. It has many rooms but a small (well signposted) frontage on the street leading from the station to the sea. It is 3 minutes from the small beach. (but there is a better beach a short car journey away - ask the owner!). Breakfast (6 euros) was a relaxed meal of bread, yoghurt, a toastie (ham and cheese) and coffee. I paid only £76 for two nights - bed only. I travelled from her up the Rack and Pinion railway to Kalavryta. (and I walked back half the way). Definitely worth doing! The wifi worked - sometimes! It was a bit unpredictable but OK as long as you weren't depending on it. Would not stop us staying here again. The apartment was very spacious and the kitchen was very well equipped for the price. The sofas in the living room were very comfortable and we had a choice of balconies! Very close to the seafront. We had a wonderful view out towards the mountains. 10 minutes walk maximum to the railway station. Parking was not a problem. Several restaurants within easy reach. Good place for good price. Beach is near and railway station too. The toilet is not comfortable, the door was not easy to operate. The pool's hours are limited.